Yet another cool hill station, Dalhousie, left behind by the British in the year 1850, lies in Chamba district of Himachal Pradesh. The hill station is situated at the Western end of the Dhauladhar range of mountains, at an elevation of 2000 meters. Owing to its pleasant weather and scenic beauty, it is a known destination for honeymoon couples. Spread across an area of around 14 hectares, it includes five hills, namely Balun, Bakrota, Tehra, Patreyn and Kathlog. Apart from spectacular landscapes, Dalhousie is also abundant in ancient temples and handicrafts. Peak tourist season is summer (from April to September). 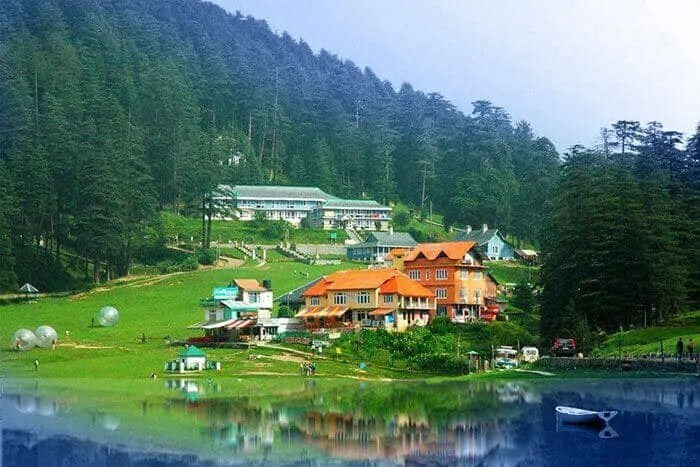 Khajjiar, which is located just 8 km away from Dalhousie, is also a must-visit. 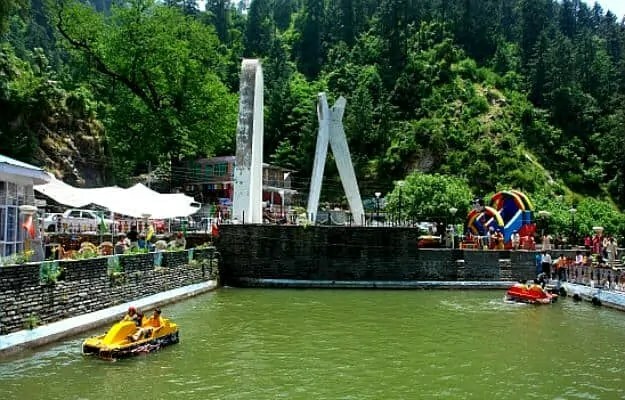 Karelanu: One of the tourist attractions of Dalhousie is the natural spring located in, which is said to have healing powers. The spring was visited by Subash Chandra Bose in 1937 when he was suffering from tuberculosis. He stayed in Dalhousie for seven months and drank the water from the spring regularly. It is said the healing properties of the water cured him of the deadly disease. Panch Pula: It literally means “5 bridges” and is a known trekking destination. Because of its closeness to several treks, it acts as a base camp for them. It is also known for its waterfall and streams. Kalatop Wildlife Reserve: The reserve has a wide variety of grasses and trees including deodar, blue pine, and oak. Apart from vegetation, one can also have a spectacular view of pir panjal mountains. Rang Mahal: Rang Mahal was built by Raja Umed Singh in Surara Mohalla and it was the residence of the royal family. It was later converted into the residence for the women of the family. The palace is now controlled by the State Government’s Handicraft Department. Tourists may choose to buy from a rich collection of coins, Hill costumes, jewelry, decorative objects and musical instruments. ← Kumbhalgarh Fort: The second longest wall in world after “Wall of China”. Life in Siachen: Why our soldiers deserve a salute !